Stellar Biotechnologies, based in Port Hueneme, reported drops in both revenues and expenses for the quarter ended March 31. Revenues decreased 81 percent from $330,000 during the same quarter the previous year to $60,000 for the most recent quarter. 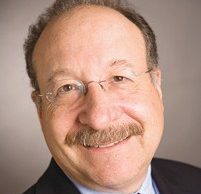 The immunotherapy developer and manufacturer attributed the decrease to lower sales volume for pre-clinical studies, compared to late-stage studies last year. Expenses also declined, from $1.42 million to $1.21 million, respectively, for a $1.1 million net loss during the quarter, or 11 cents per share, up 40 percent from the same period last year. Expenses were in line with expectations for the first half of the year, said Chief Financial Officer Kathi Niffenegger. Research and development expenses grew to $790,000 for the six-month period as the company looked for ways to increase scalability and throughput capacity for its manufacturing systems, among other things. Total revenues over the six months ended March 31 were also impacted by a decrease in the number of customers, the earnings release stated. Two customers now make up 88 percent of its total revenues. The company had $8.92 million in working capital at the end of the quarter, with $433,384 in current liabilities. Shares ended May 9 at $1.32, down 1 cent.